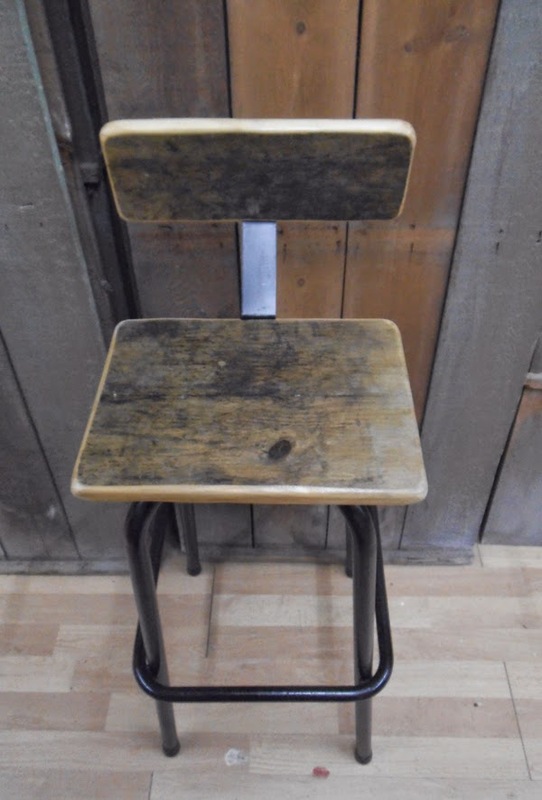 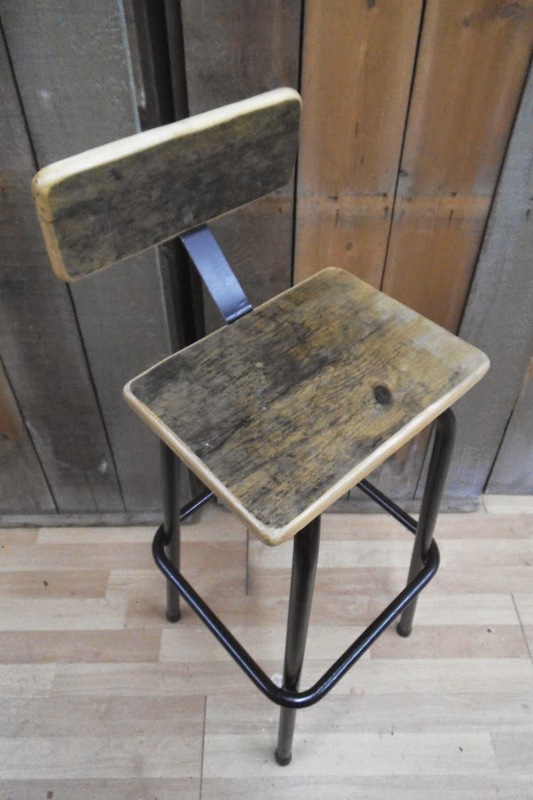 This is quite a dramatic transformation: from a plain vintage bar stool with chrome tubular steel frame and a hideous seat, to a high stool with an industrial look! 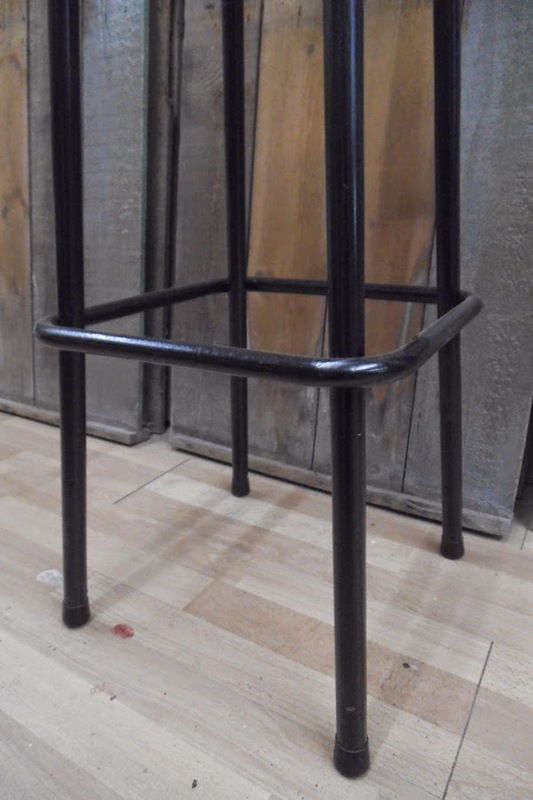 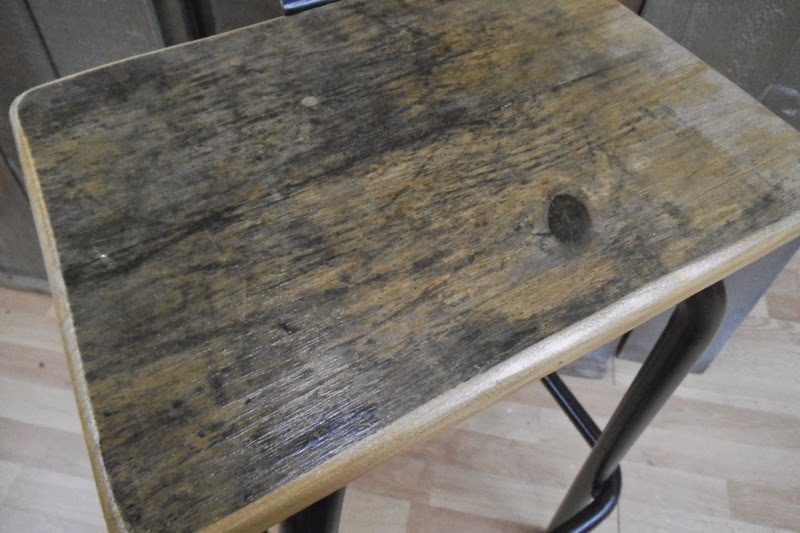 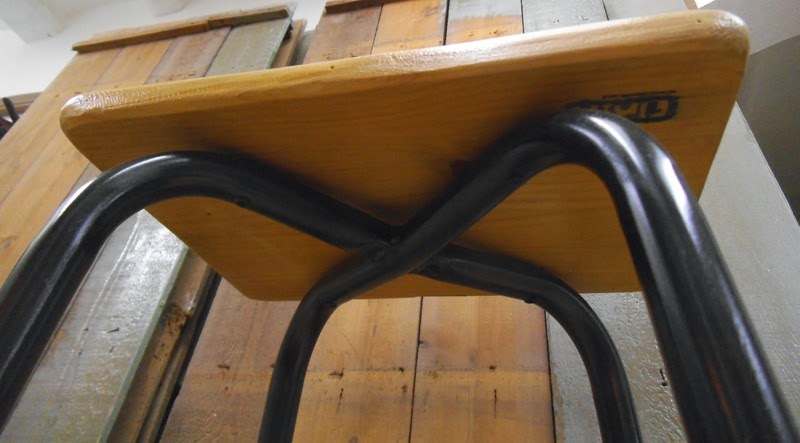 I have painted the structure in satin black and added a seat plus a back rest made out of reclaimed pinewood boards that had a lovely weathered patina. 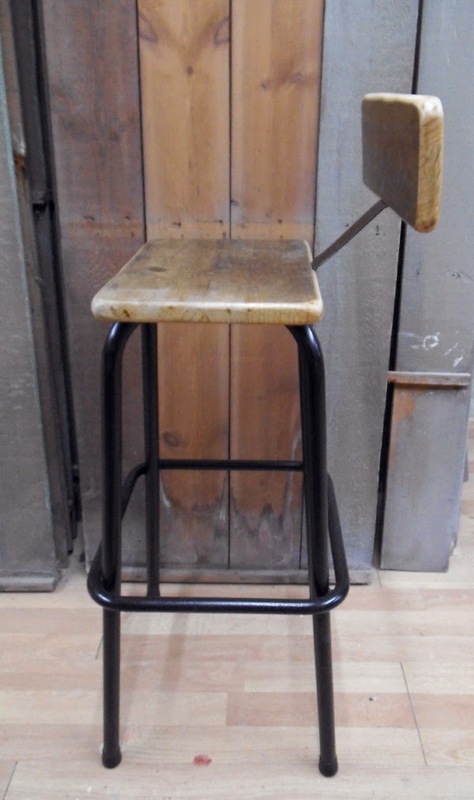 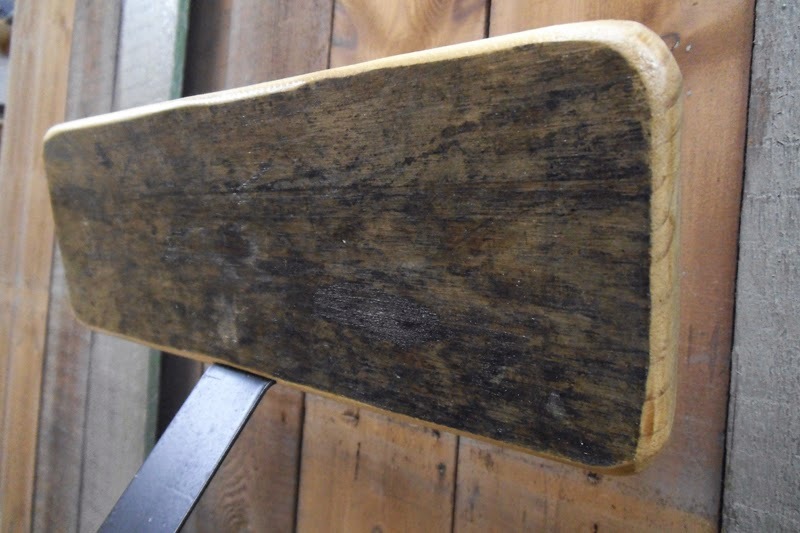 The support for the back comes from a vintage valet stand. 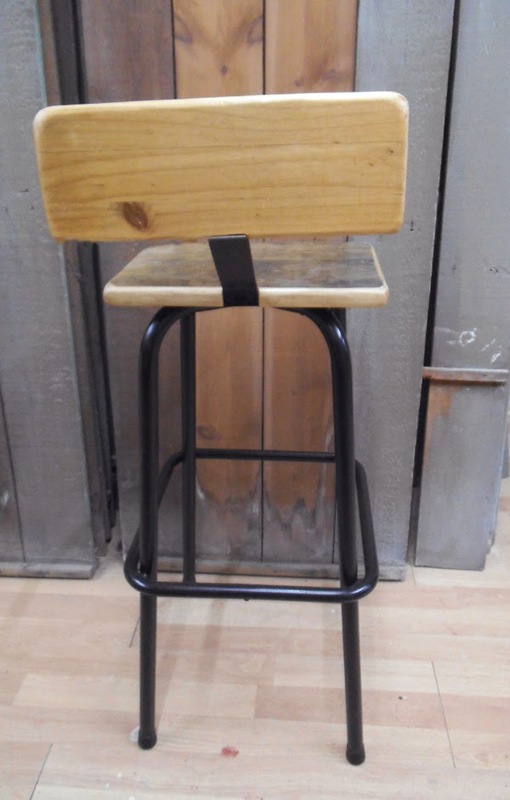 Measures: seat 37 x 30cm, 80cm high. 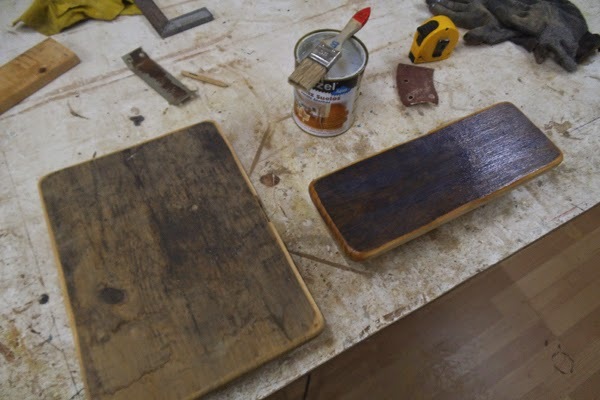 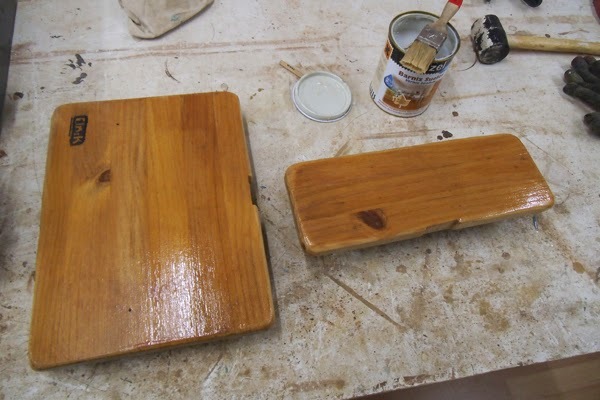 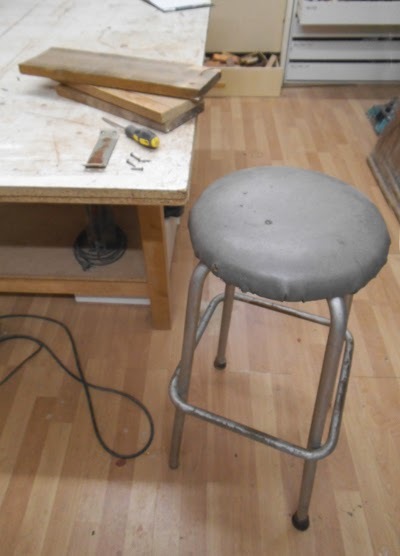 Some pictures taken during the MAKING OF process: Here on the left, the stool before its transformation. 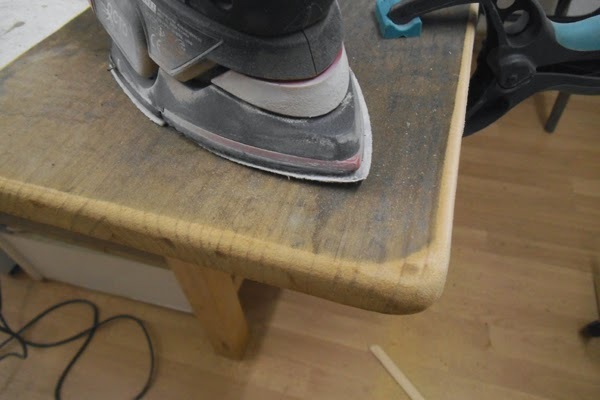 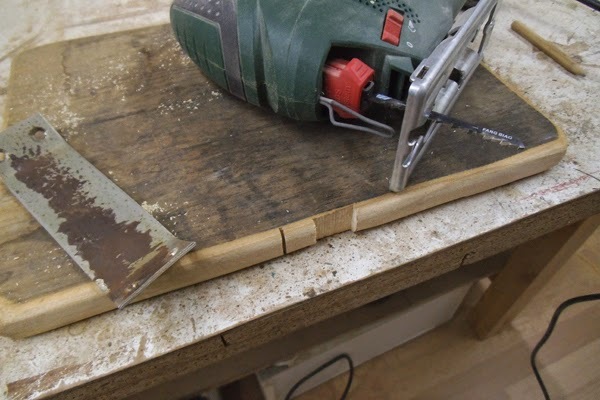 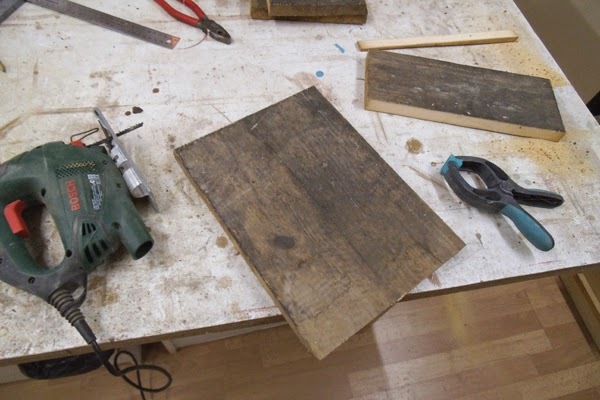 Below, cutting and rounding the edges of the reclaimed pinewood boards that would become the seat and back rest. 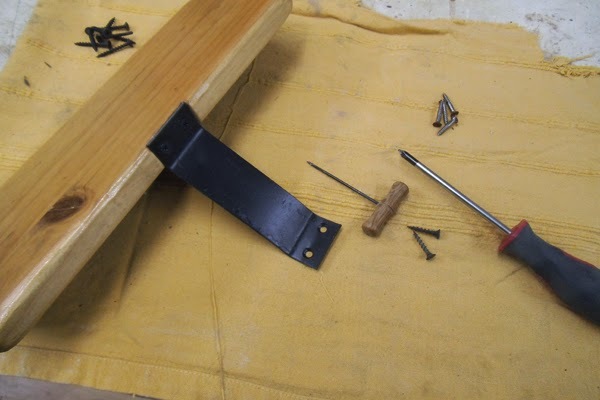 Cutting the groove for the back rest support; varnishing both sides of the seat and back rest. 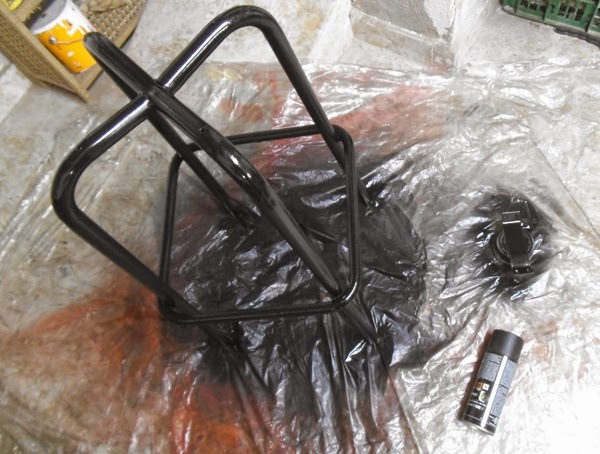 Spray painting the steel structure and the back rest support. 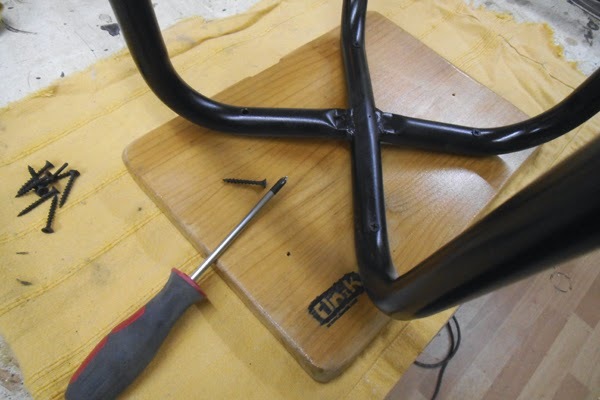 The final step: mounting all the parts.